Pour some soil into a medium size jar. Use enough soil that you don't have to reach too far down to light the candle. Sit a tea light candle on top of the soil, pushing down slightly to position. 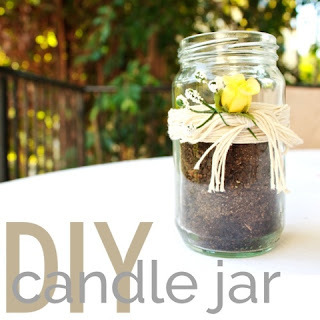 Tie several rounds of string around the jar at about the level of the soil so that it hides the tea light. I used cooking twine but raffia would look great. Add a few simple faux flowers and your done! I doubt anyone would need instructions for this but thought I'd share. 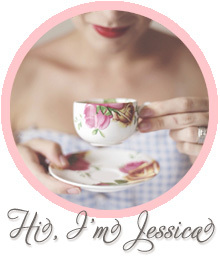 Its so simple and pretty.